Your officer makes his way down the line of soldiers. 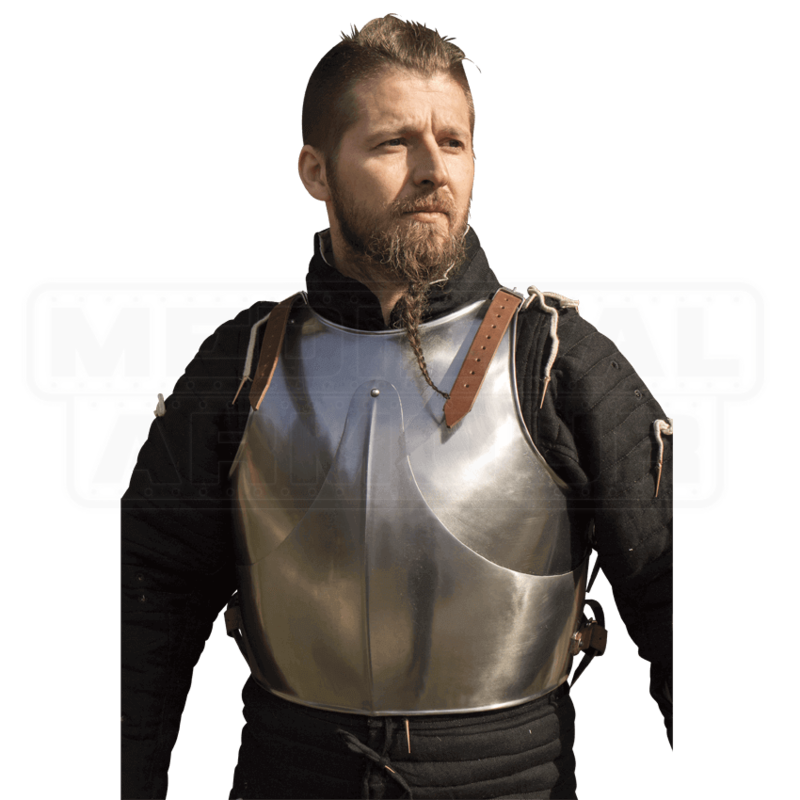 He announces the call to arms and you double check that the buckles of your Polished Steel Milanese Armour are securely fastened before raising your sword, preparing to charge. The Milanese Armour is a simple low-fantasy piece of armour protecting the font of the torso and abdomen. The plate rests at the waist and is sculpted to fit the body and add structural strength to the steel. This steel riveted piece has been polished to a high-gloss finish to appeal to the knights in shining armour. The Milanese Armour is embellished with a beveled plate on the chest to deflect attacks. It is fully usable with Epic Armourys Faulds and Tassets as well as other metal work products, giving you the freedom to customize your kit. 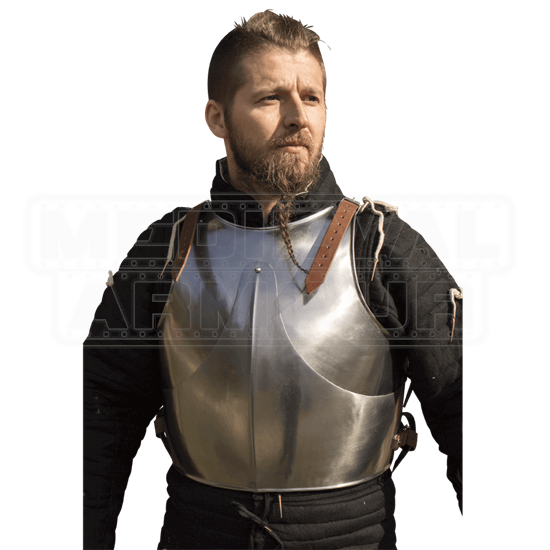 Made of 19 gauge mild steel with top-grain leather straps and fittings, this armour piece is built to withstand the abuse of a LARP or reenactment with regular leather and metal armour care. Please be aware that these items are handmade. Slight deviations in pattern, color, and shape may occur. These are measurements of the armour only, these measurements do not include the straps or buckles. Keep in mind that if you are wearing a gambeson or heavily padded shirt, to take your measurement while wearing the garment and order by that measurement.